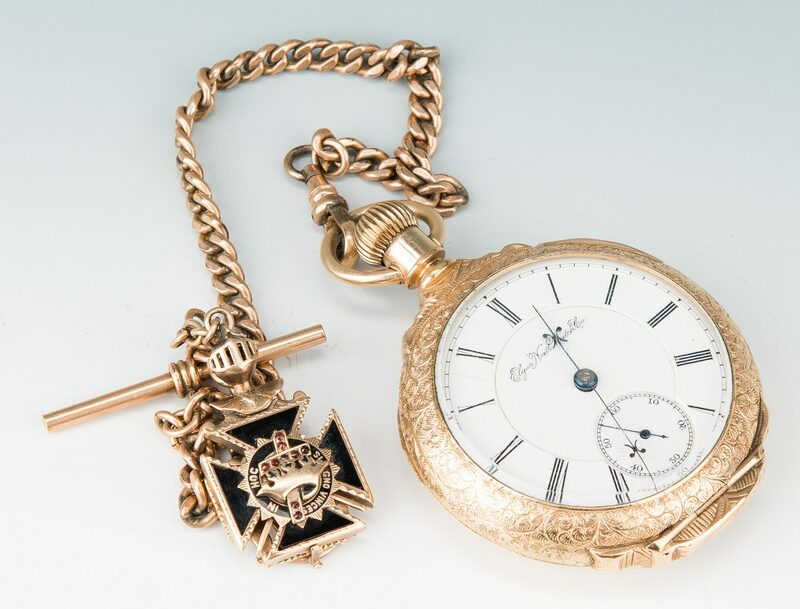 10K Masonic enamel pendant w/ 14K (acid tested, not marked) Elgin pocket watch, 2 items total. 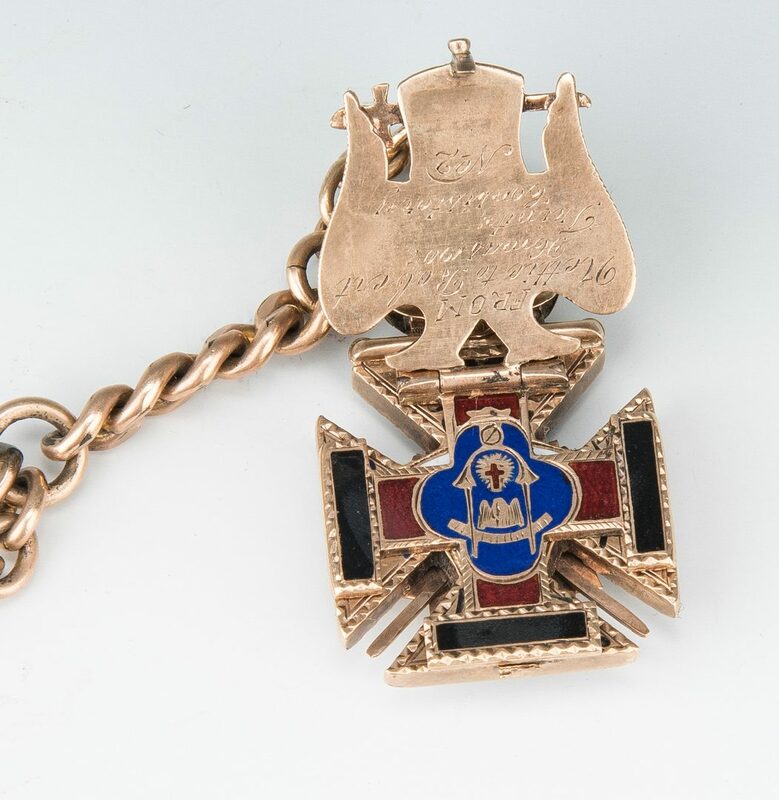 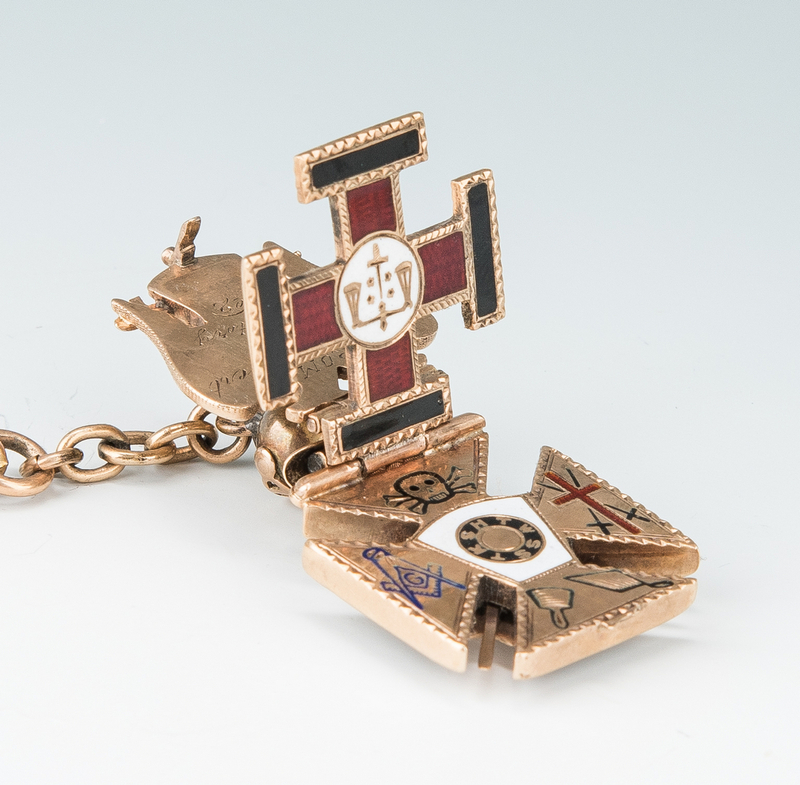 1st item: 10K yellow gold Masonic enamel hinged pendant in 3 sections: 1 1/2" L x 7/8" W x 3/8" D. (17.2 grams) excluding gold-plated watch chain. 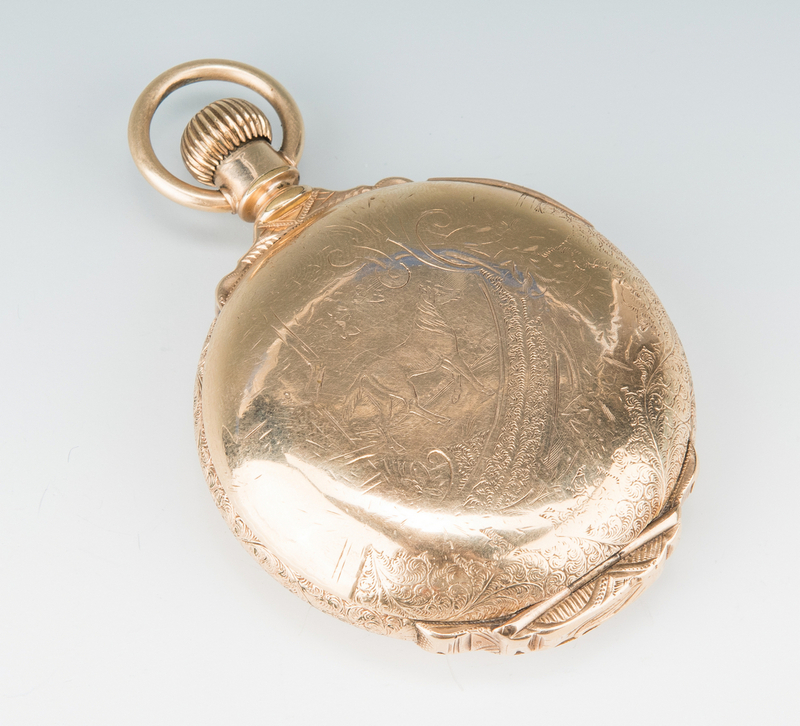 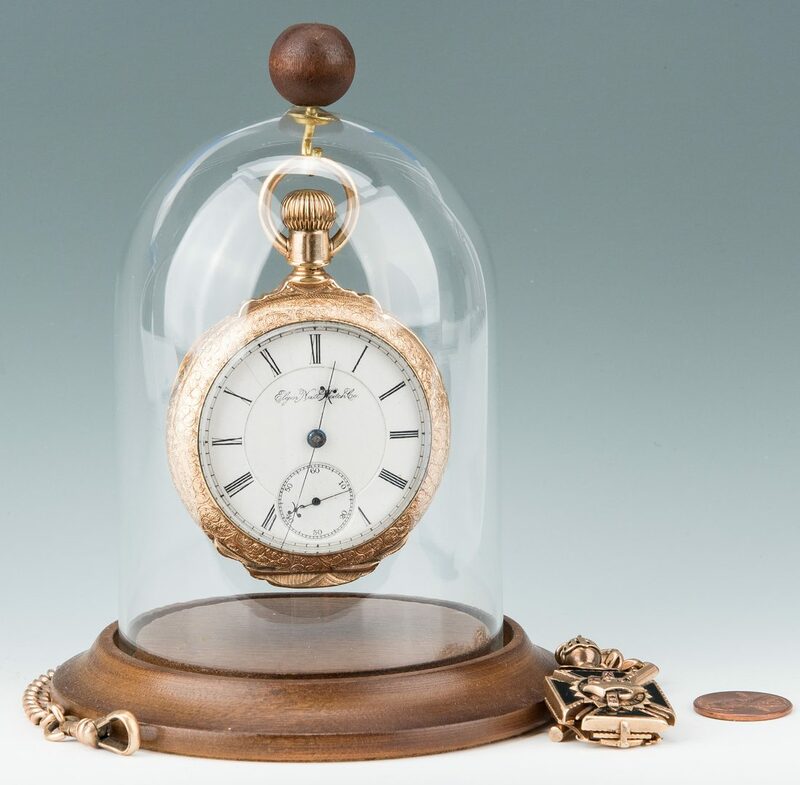 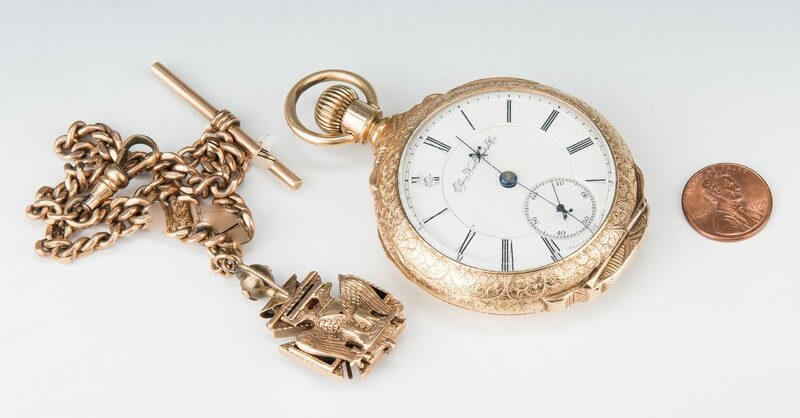 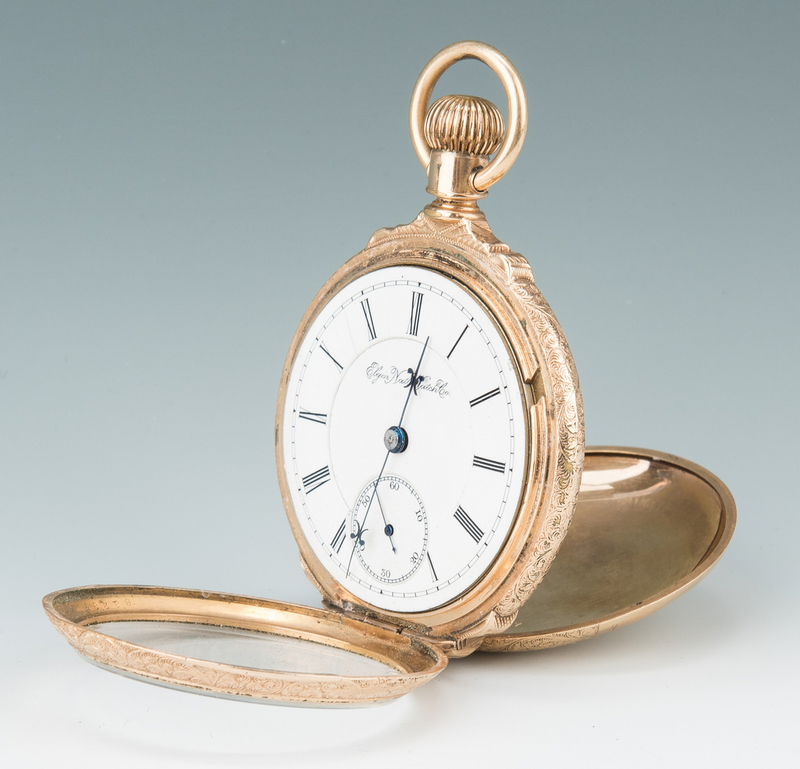 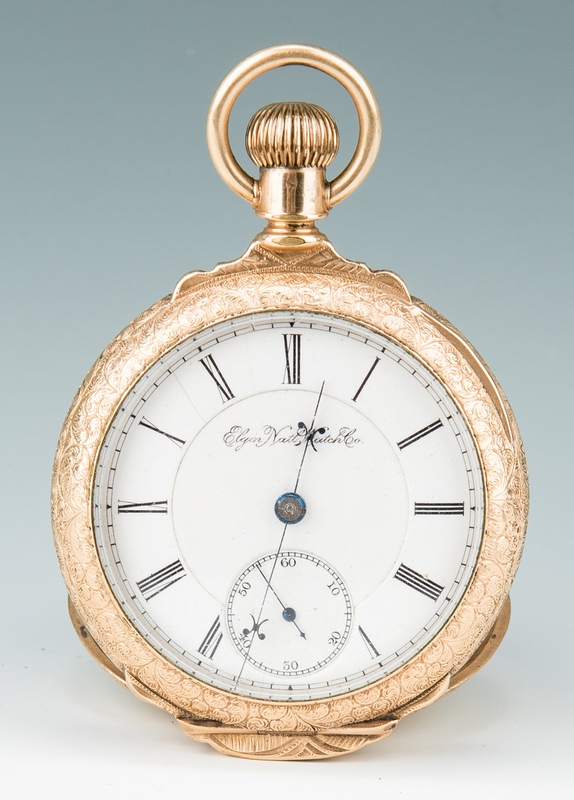 2nd item: 14K yellow gold Elgin National Watch Co. pocket watch, the cover with inscribed horse and barn in chased scroll and swag cartouche. 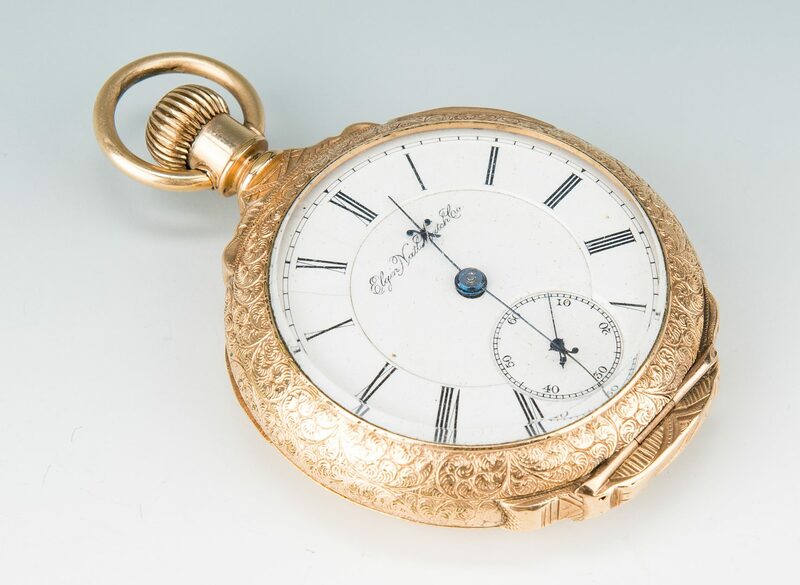 White enamel dial, Roman numerals, secondary dial, case 1781237, works 3825960. 1 3/4" W dial, 2 3/16" W case. 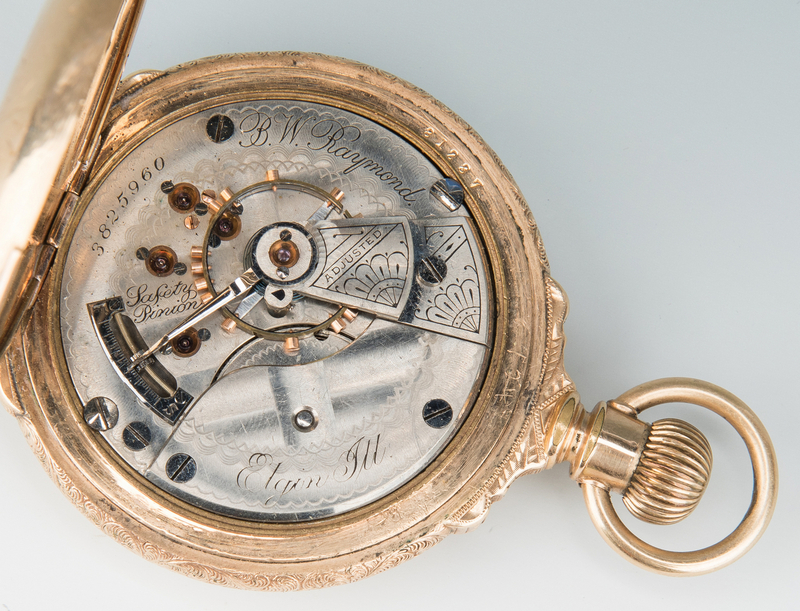 Weighs approximately 134 grams with works. Watch tested as 14K with acid test. 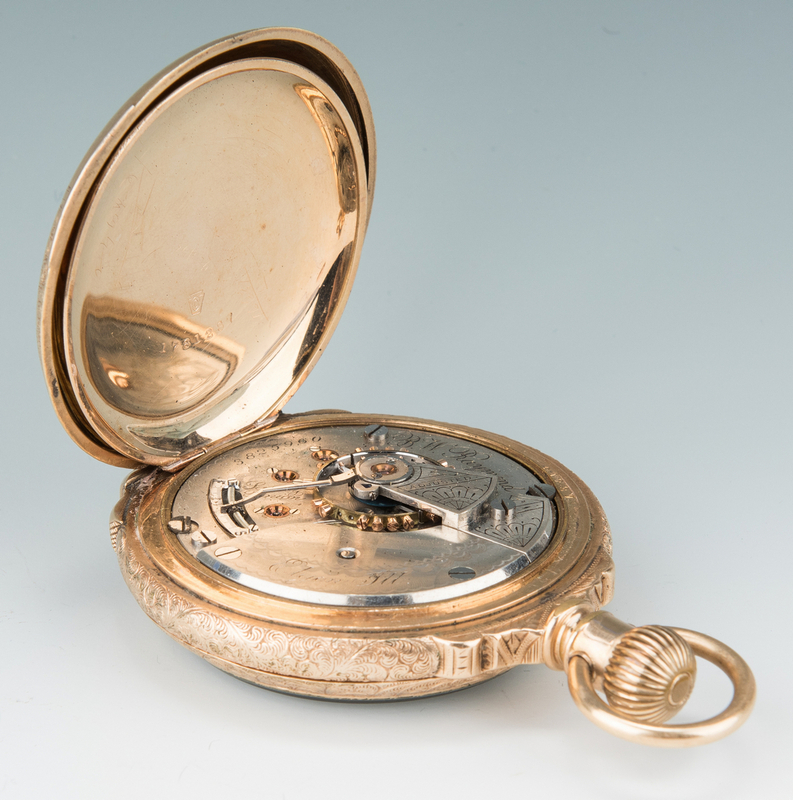 Group comes with small glass dome and round wood underplate, 5 1/2" H x 4 1/2" dia. 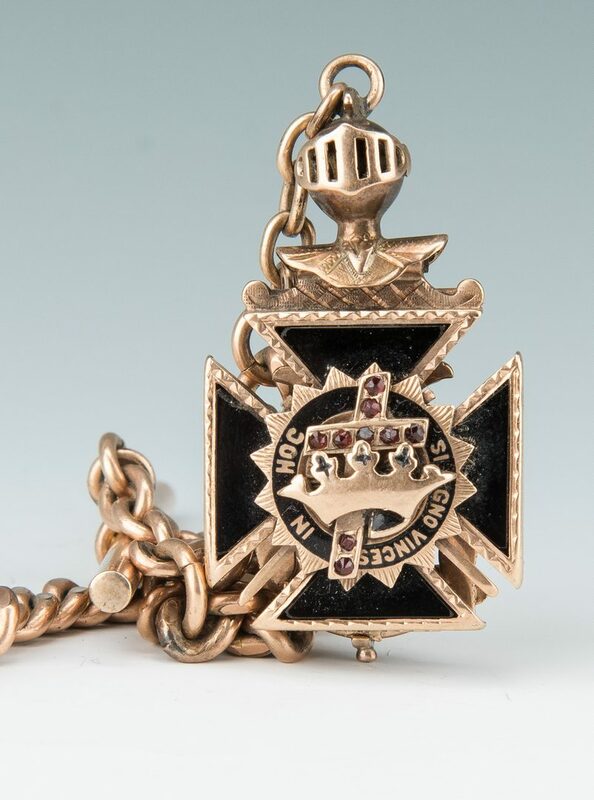 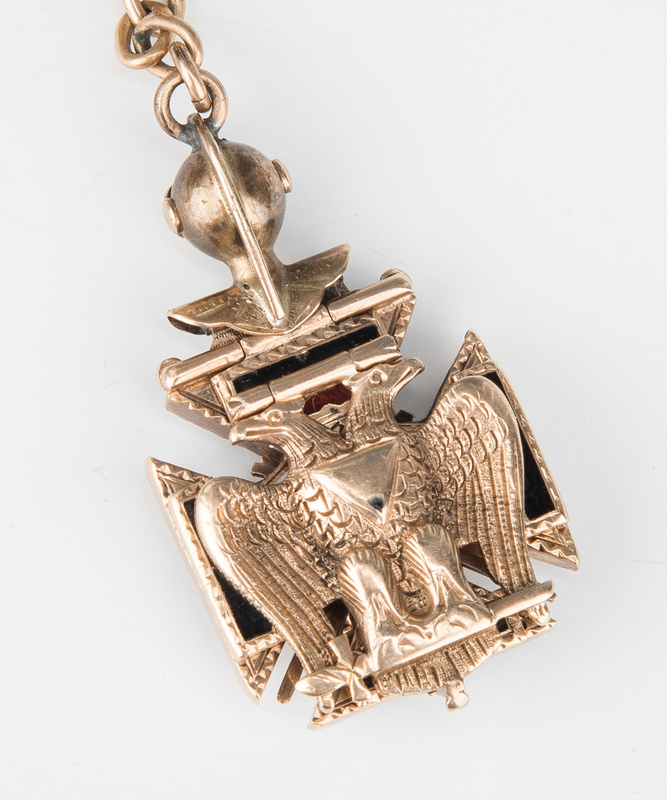 CONDITION: Masonic pendant in very good condition with some surface grime. 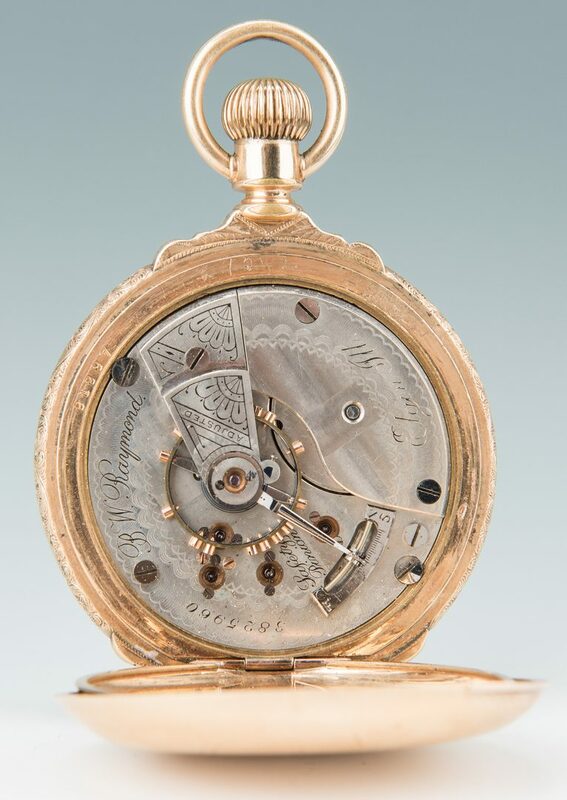 Watch running when wound. 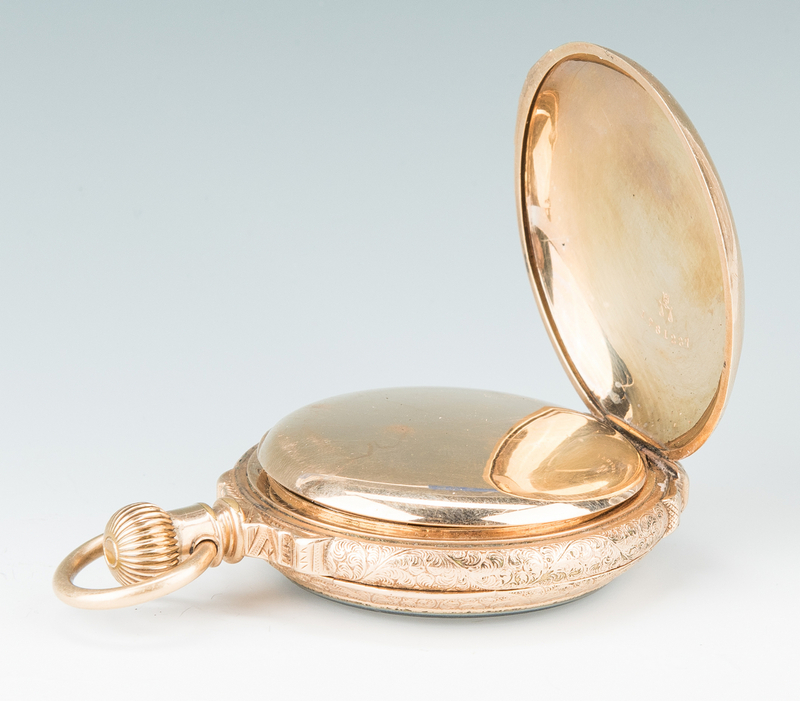 Some wear to watch case decoration.